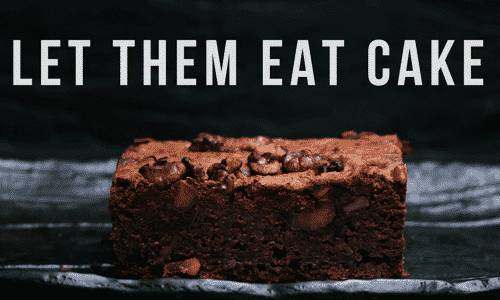 My point is I’ve been sugar-free for a year, and I’m still eating cake … and brownies, as the case may be. It’s one of the reasons I love BGDIR. It’s not about depriving yourself of the things you’ve always loved. It’s about mixing the right ingredients together to create something awesome and yummy without sending your body into a tailspin. And that, my friends, is what we call a win/win! 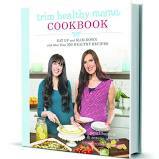 Jasinda has a ton of great recipes in her book, but I also like the Trim Healthy Mama Cookbook too. And don’t be afraid to get online and search. There are a lot of incredible recipes out there that won’t bring on a sugar-induced coma. Just take a look at this little treasure. 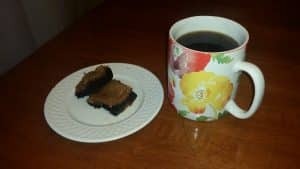 Trim Healthy Mama’s Peanut Butter Chocolate Brownies. First time I made them I was sure I’d gain five pounds over night. Nope. Nada. Nein. In fact, I believe I dropped a few that week. Now, I’m not saying you can eat a panful of these babies for breakfast and still lose weight. What I am saying, though, is when you need something sweet there are healthy alternatives that taste great. Here’s to a lifetime of healthy eating!